The Dekati® Diluter DI-1000 is an easy-to-operate and reliable dilution device for diluting aerosol and gaseous samples from any source. The simplicity, ability to withstand high temperatures and the robust, all stainless-steel design have made it a popular choice for dilution of combustion aerosols. In high temperature applications, the Dekati® Diluter is commonly used in a two-stage Dekati® Double Diluter setup, where the first Dekati® Diluter is heated and the second one operates at ambient temperature. This way unwanted condensation and nucleation effects are eliminated, and the measured particle concentration and size distribution results are stable and repeatable. 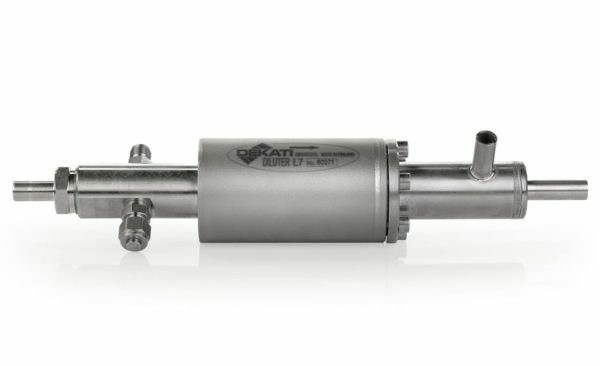 The sample can be taken directly from the tailpipe or power plant stack into the Dekati® Double Diluter setup eliminating the need for large full-flow sampling systems to carry out particle or gas measurements. The operating principle of the Dekati® Diluter is based on ejection dilution. Purified pressurised dilution air flows at high speed around an ejector nozzle and causes a pressure drop which draws the sample into the diluter through the nozzle. The raw sample is instantaneously diluted as it mixes with the dilution airflow always providing a homogeneous and stable sample. 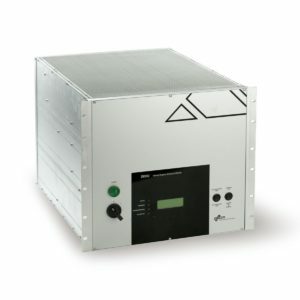 Only purified pressurized air is needed to operate the Dekati® Diluter – no flow control devices nor pumps are needed. The diluter does not include any moving parts guaranteeing stable operation and low maintenance costs even during long measurement periods.